BLUF: How much does a runway hex cost to build, and how long does it take to lay it down? one of several threads about required runway lengths; another thread about modular basing; after going through boilerman's Combat Support Field Manual v2.1 (a must to read, btw); and taking a look at CamOps Pg. 55 and TacOps Pg. 418, I noticed there is no defined cost or build times for runways, taxiways, or airfield aprons. A) Because I'm an engineer, and I know that airfield pavements are far more robust than typical highways or even railroads. You want something to last for years after having 30 tons (a lightweight) slamming onto it after repeated landing after landing? Your surface layer's gonna be thick. Your subsurface layers are gonna be even stronger. 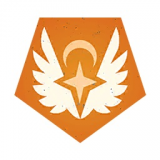 . .
B) I'm working an AtB campaign, and am working up plans for standardized base camps every time I make planetfall. This'll include base camps for uncontested landings and forced entry landings. For accuracy's sake, I plan on spending the money and resources out of my Merc units' pocket to establish a base. This'll include forward Rearming Points (RAPs) and Forward Operating Bases (FOBs). I ought to be able to tell my accountants, and other players* that "Hey, that'll cost $1.1M. You can't extend that far forward, 'cause you ain't got that much cash. . . Your OP will have to be guys living in a tent." which will help with keeping strategic play in line with real life. So, I'm gonna throw out there that airfield pavements cost $35,000 per hex and take a day per hex to construct. I'm open to thoughts. Once I get this ironed out, I'll start posting ideas for standardized base camps. * When I eventually talk a friend and his kids into a campaign. DISCLAIMER: All thoughts and ideas put forth in this communication are sole property of the voices in my head. ©1998-2018 - 'The Voices' (TM). All rights reserved. Well it appears my post took a full drink of "Derp," and the formatting got all goofed up. I had tried a list, but I thought I modified it to remove it. Sorry for the Derp-ness. As for airfields, the USN Seabee record is something like 16 days or so for an emergency landing strip during the Korean War. It was about 2400 ft long and 120 feet wide with steel matting on hard packed earth. Google Operation Crippled Chick. I'm sure it would've taken tens of thousands of man-hours to complete. I don't know how big the detachment was that did the work but in my experience a Seabee det could be any size short of a full battalion. And FYI WW2, and I would bet Korean War, Seabee battalions had over 1000 sailors. Avatar by Wombat. Thanks Wombat! IMO the other side of that is do you think IndiMechs would be able to speed operations up more than current generation engineering type vehicles. I doubt it. Building airfields is about moving dirt and rocks. I don't think industrial mechs would have much of an advantage moving dirt over real world heavy equipment. Industrial mechs might have an advantage with laying down matting. IndustrialMechs would have an advantage removing trees and maybe other things when the terrain is really rough. Removing the trunk up? Maybe. Pulling the stump? I very much doubt it. Placement of military airfields tends to pay way more attention to strategic placement then such concerns, if the options are build it half way up a mountain or have no airbase for one thousand miles, well we're building an airbase half way up a mountain! 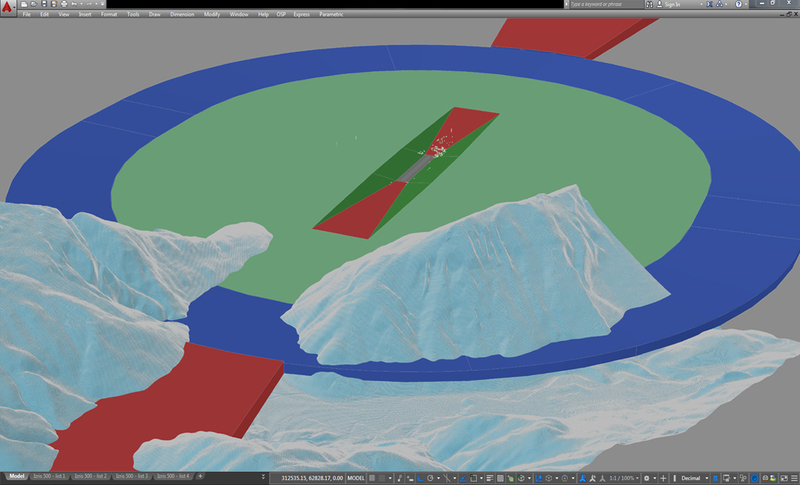 Anyway the GOAL is to have level terrain, so starting halfway there is cheating. IM grabs tree with left hand, cuts tree near to ground with buzz saw on right arm, walks off with trunk that can then be used in building base. No, IM slowly walks forward cutting trees and leaving piles of delimbed trunks behind. A forwarder follows the IM picking up the piles and hauling them off, a bulldozer follows the forwarder pushing over the stumps, somebody in another piece of equipment with a brush blade pushes all the stumps and brush off out of the way. Because behind the dozer is another one pulling a heavy scaper to do rough grading, followed by a roller to compact and compress the soil, then a piece of very heavy equipment with a giant roll of pierced metal planking bigger than most houses. Followed by the crew to spike it down once the last of the heavy machines rolls down the landing matte. Strategic placement can mean within miles, or even hundreds of miles of whatever you want to support or attack. In BT it can mean on the other side of the planet. I'm still digging into this. . . and trying to find old records. I was an AF RED HORSE Engineer about ten years ago, and am trying to dig up rates of construction. You guys are right though, that clearing is important, as well as compacting the subgrade. If you can find a clear plain or mesa, that's ideal. Our goal is to complete at least 600 feet a night in the 12 hours we work," said Master Sgt. Jon Narvarte, slip-form paving operations NCOIC, deployed from the 820th RHS. "It takes about 425 cubic meters of concrete for about 600 feet of runway. So, more to follow. . . I need some time to dig up old blueprints and timelines to make educated recommendations. And actually, I just found a really good resource in the Unified Facilities Criteria 3-260-01, Airfield and Helipad Planning and Design available via Google-Fu. The one thing that BT does not take into account is the grade of road/pavement . . . for the purposes of the game afaik a dirt track is no different than a 6 lane highway for the purposes of movement or landing. Its why for my strategic maps I distinguish between a 2 lane country road, 2 lane highway with a turn lane and a 4 lane transcontinental highway. For instance, I am not sure but I think I recall some conventional or primitive/support craft having a rough field capability something like what is described for the MiG-21 . . . but its not something reflected in terrain features/rules for such. Because I'm an engineer . . .
Ubique! Great to see a fellow airfield engineer around the BT forum. You want something to last for years after having 30 tons (a lightweight) slamming onto it after repeated landing after landing? Your surface layer's gonna be thick. Your subsurface layers are gonna be even stronger. . . It depends, what is the plan for the base? Is it an expedient temporary base or is it a more permanent base? What aircraft are you planning to operate from the base? This would inform the decision on how much time and resources you would throw into the runway construction. 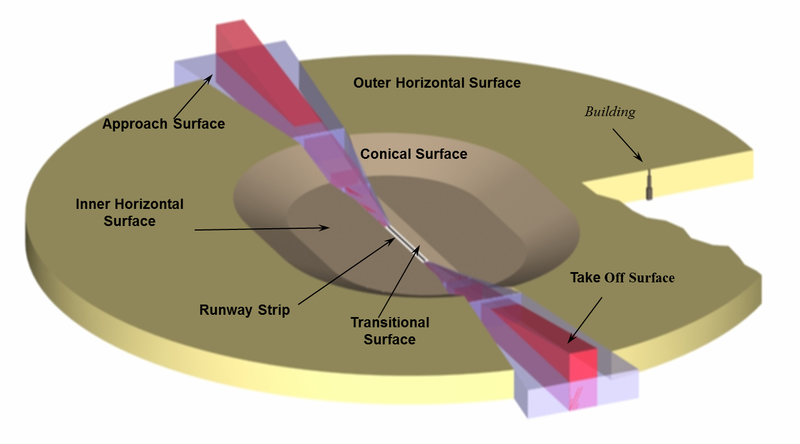 Yes, the wearing and base courses of the pavement (ie the surface layers) are going to be thick and strong but the sub-base and sub-grade (ie the sub-surface) layers can be weaker. It depends on the type of pavement. If it is a rigid pavement like real-life concrete or BT's ferrocrete or if it is a flexible pavement like real-life asphalt. That will change the loads that will be transmitted down to the sub-base and sub-grade. 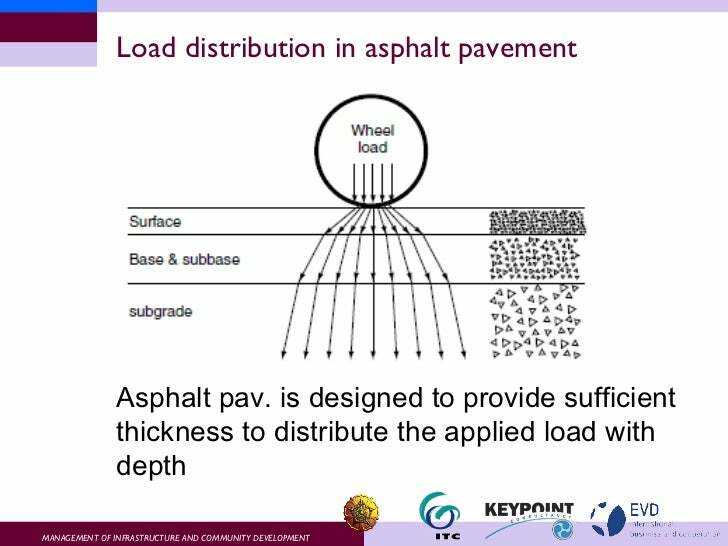 So even in the more critical case of flexible pavement the applied load is distributed with the depth from the surface, the sub-base and sub-grade can be made of weaker material. This will usually be the case for expediency and economic reasons. For rigid pavement (ie ferrocrete) then treating it as a bridge of equivalent CF would probably be a decent starting point for construction costs as a rigid aircraft pavement is effectively a continuously supported ferrocrete structure. There is a BT USD to C-bill conversion somewhere . . . 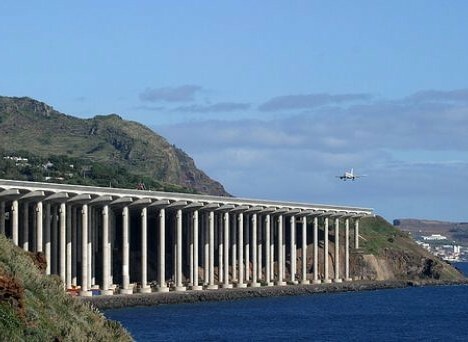 So yes, it is possible to build a runway on the side of a mountain, but is not the preferred solution. That first mountain side airport is Courchevel, IIRC, and you land going up slope (. And that bottom runway scares the dickens out of me. 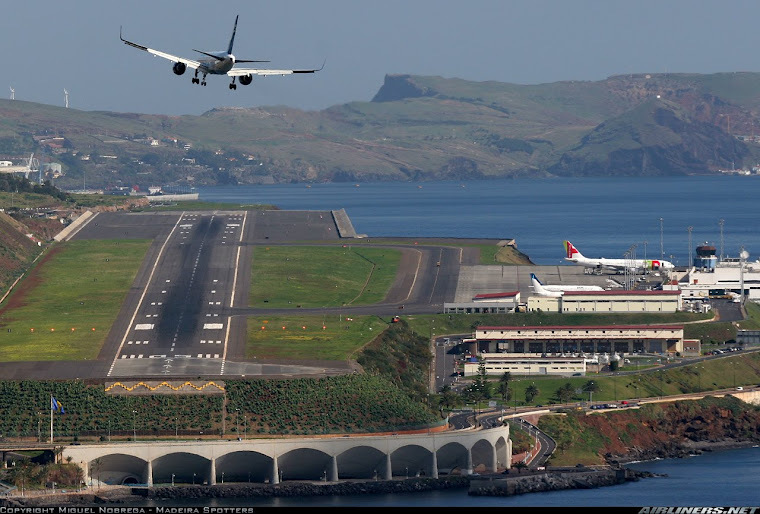 Madeira Airport (aka Cristiano Ronaldo Madeira International Airport) is a bit wider and longer than an aircraft carrier but the aircraft landing on it are a little bit larger than your average naval aircraft too. Correct the first one is Courchevel Airport. Yes you land up hill, turn the aircraft around and throw it back down the slope to gain speed and hopefully altitude to take-off. Definitely not for the faint-hearted or those who have a fear of flying. 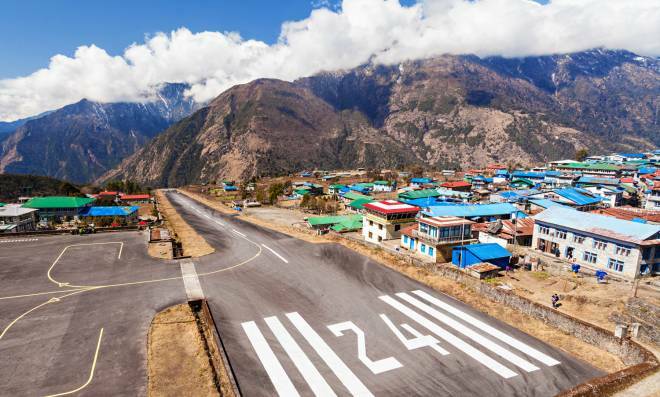 For anyone interested, the middle one is Lukla Airport (aka Tenzing–Hillary Airport) in Nepal. Again, definitely not for the faint-hearted or those who have a fear of flying. 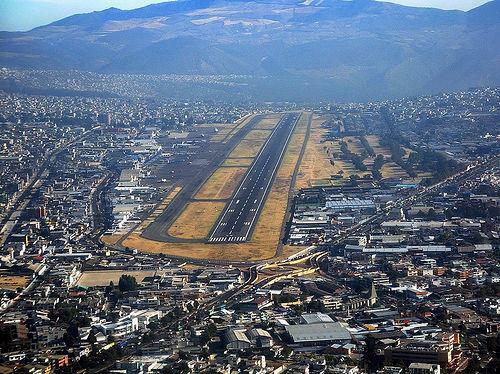 Yeah, when I flew into Quito airport its at 9228 ft of altitude, they joked about flying into the valley through a pass . . . and their zoning sets the city right up to the edges. Since they could not expand it, they moved 18 klicks outside of the city and found somewhere lower by nearly 1500 feet. 120ft width would give 2.5 inch thickness. For the non-airfield-engineers, the 49 R/C/W/T PCN number gives the pressure load that the runway can sustain in regular operations. Going with ICAO numbers, it rules out most mid- to long-range civilian aircraft, but can fairly accomodate a C-130J-30 even at full load. Since the taxiways are rated for C-17 according to the same document they're built for them too; going by slightly less public ACN numbers for C-17, i'd estimate they have to download those to 35 tons maximum payload for operating there though. 2.5 inch thick concrete is not thick enough for a C-17 or a C-130 to regularly land on, even if you were using high-strength concrete. 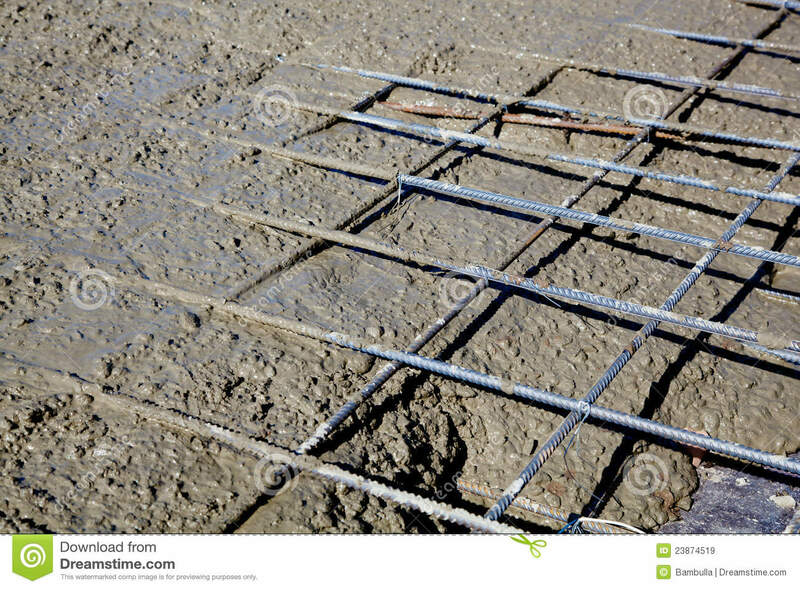 Your typical domestic concrete driveway is 4-6 inch thick with steel reinforcing mesh. 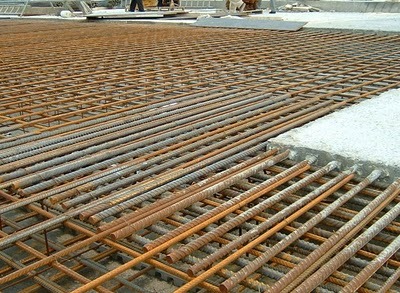 Your typical concrete runway pavement is mass concrete without steel reinforcement (may be some steel dowels to transfer load between slabs). I would agree with TripleSDMBs suggestion of 12 inch thick concrete as a minimum going up to around 20 inches thick depending on how long the design life of Camp Dwyer's runway is. Here's the actual construction. I'd say from that that possibly they meant they'd construct 600ft of one strip of runway, each being 16ft or so wide. At 16ft strip width that'd give them 12.5 inches overall, which would fit what's shown in the video. 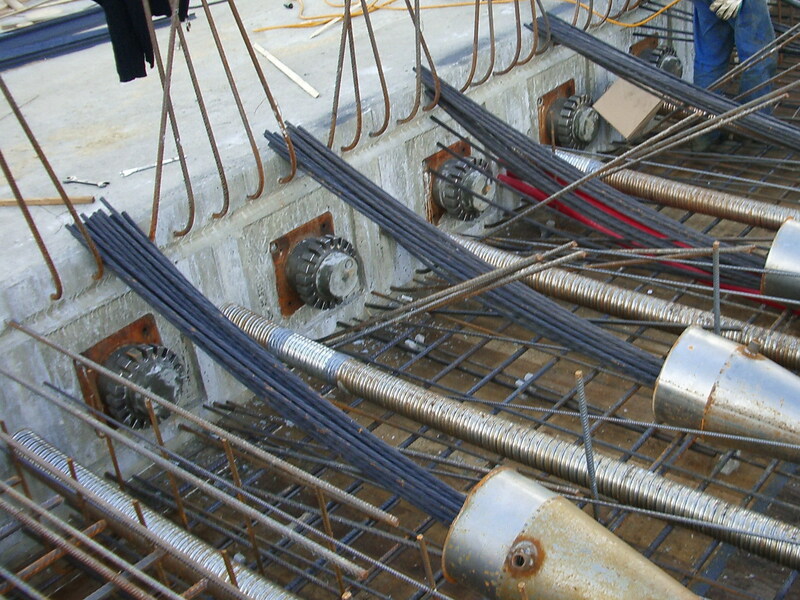 Here is a question for everyone to ponder, in real-life, we have your traditional steel reinforced concrete (rebar, mesh, we can even get fancy with pre-tensioning or post-tensioning). 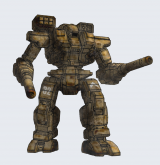 However, what is the make-up of Battletech's "ferro-crete"? Well assuming that there's actually iron in there, as implied by the use of ferro, I'd say surgical grade stainless steel to prevent it from rusting, ever. Even surgical grade stainless steel may not be completely impervious to rusting (noting that the BT universe has inhabited worlds with some interesting atmospheric conditions). May I suggest that it would be safer to assume that the ferro component(s) of ferrocrete would be customised to suit the reactivity of each type/group of planetary atmospheric conditions. 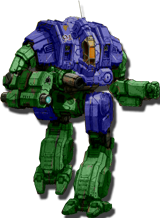 I figure Battletech "ferro-crete" to be advanced 31st-century versions of the above; stronger, lighter, tailored to various environments, etc. Either that, or the term "ferro-crete" is an anachronistic term for "steel reinforced concrete" something that used to be made close to a millennium ago before a whole new generation of materials was developed, and there hasn't actually been any ferrous material in it for ages. 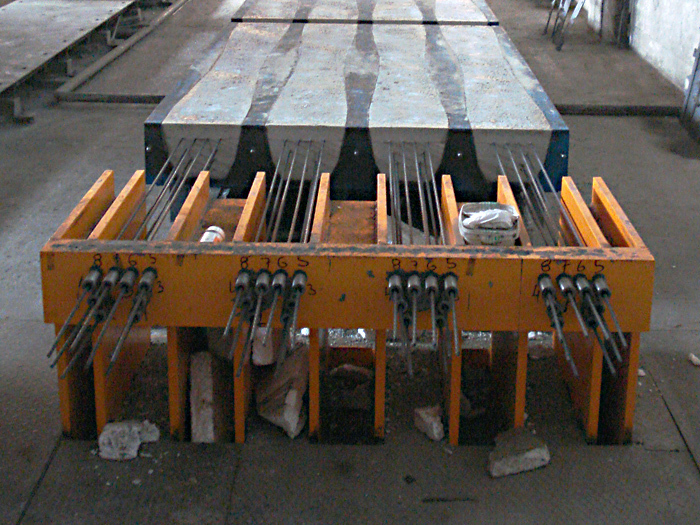 More likely "BT ferrocrete" is simply a concrete mix using ferrous material for aggregates. This exists today and is used for high-impact resilience and very high wear-and-tear demands in industrial environments. Typical mixes depending on application and environment replace the sand/gravel aggregate mix with iron or e.g. a mix of aluminium oxide and ferrous oxide. It's typically only used as a cover on top of other concrete due to cost and weight. There's some videos on youtube where they have 100+ ton tracked vehicles driving around on that kinda thing without damaging it at all. Not at all what you're used to from concrete.